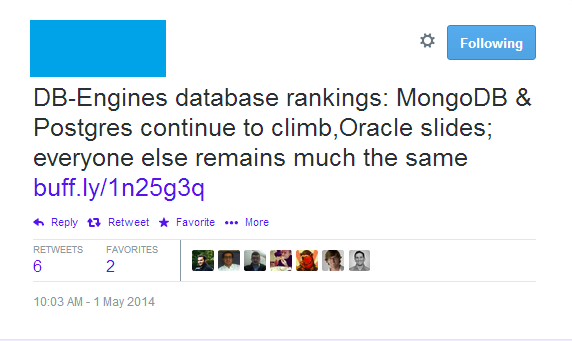 Attending MongoDB World in NYC? I've been quiet for a long time since I last wrote. The last several months were exciting times for me in many fronts. I took some time to stay away, get some breath, retune and refocus. I have taken a super-exciting opportunity with Cisco, joined a startup within the big corp, running separately, running fast, located in Cambridge MA, at the heart of where all innovation is happening. We're developing a new paradigm in the management of security appliances, from the cloud with a lot of analytics, wisdom and science around it. If you are in New York on the beginning of June, come over to MongoDB World conference! And while you're there, make sure you come and hear what I have to say in my session "Securing MongoDB to Serve an AWS-Based, Multi-Tenant, Security-Fanatic SaaS Application"
Monday, June 1, at 11:40. Use the code SpeakerFriend for a 15% discount at http://www.mongodbworld.com!! Data representation: as said above, key-value, document, graph, etc. While all relational databases provide the virtues of ACID to keep transactions and data Atomicity, Consistency, Isolation, Durability - few NoSQLs provide full ACID, most do not provide full ACID but rather provide interesting tradeoffs around CAP theorem (http://en.wikipedia.org/wiki/CAP_theorem). 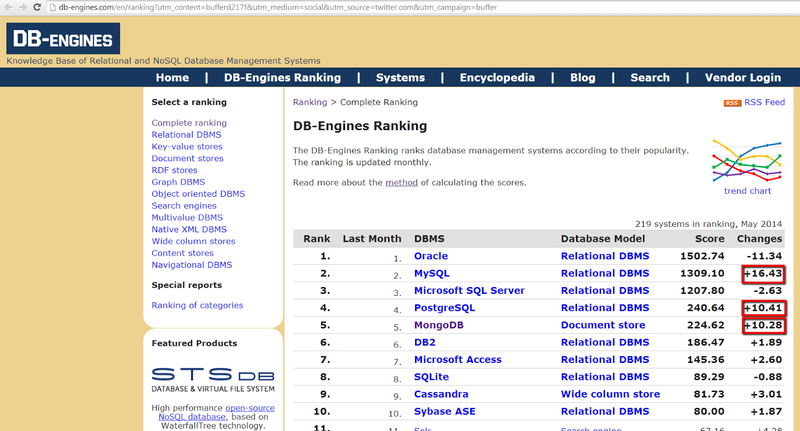 Since you can't have all 3, different databases give different combinations, for example 2 NoSQLs from Apache, HBase provides CP and Cassandra provides AP (http://wiki.apache.org/cassandra/ArchitectureOverview). 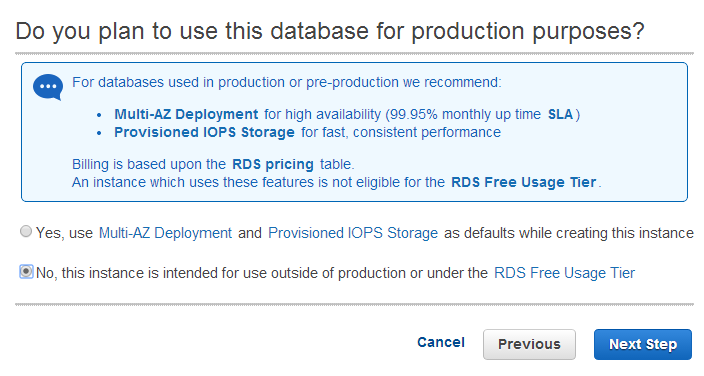 My perception over the last months is that AWS improved RDS availability, multi-AZ, and they are pushing it more aggressively. An availability factor of "three and a half nines" (~8hr/year of downtime) is very very good, it usually has a very high price tag attached to it (hardware, software & labor) and usually is a dream for the smaller-medium IT organizations. Enabling it on a utility low price, 25%-33% higher than the corresponding EC2 machine, RDS makes a real bargain for everyone, making it harder to stay out of public cloud. Yesterday I learnt an important lesson about an important difference between NoSQL and MySQL, at least when it comes to the marketing and hype. A potential customer asked my about porting her application from Oracle Database to MySQL. I always try to start with the "why" (a dear friend bought me this book, recommended: http://www.amazon.com/Start-Why-Leaders-Inspire-Everyone/dp/1591846447). She said "cloud!". I said "OK!". I conducted a short research, found many things in many places all over the place, brought them to a nice email I sent her back and then thought I'll post it here and make it public as it might be useful for us all. If you feel that I missed something, add comments, send feedback. Way before the migration of the data on d-day. I bet the big SIs (Accenture et al) are strong in this game, as those would be the default go-to service provider for the Oracle shops.